Starting this fall, every third Saturday of the month is Lunar Lounge at Inferno Nightclub. 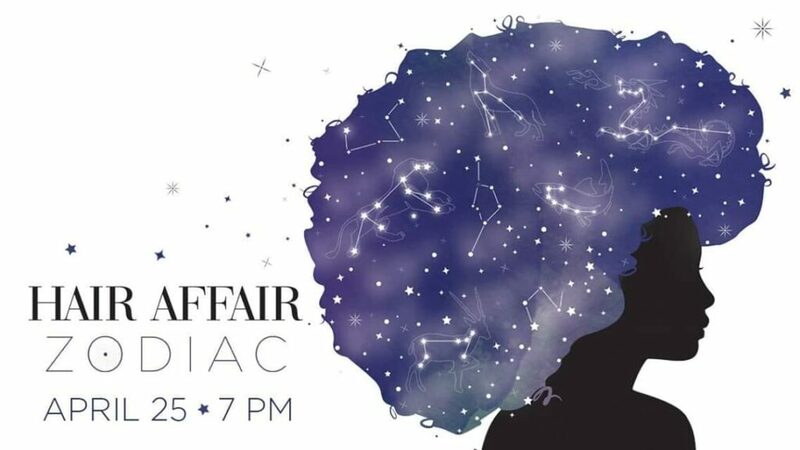 Come and be mystified with the illusion of being in an old-school lounge as you indulge your senses with sultry singers, delightful dancers, magnificent music and delicious drinks. 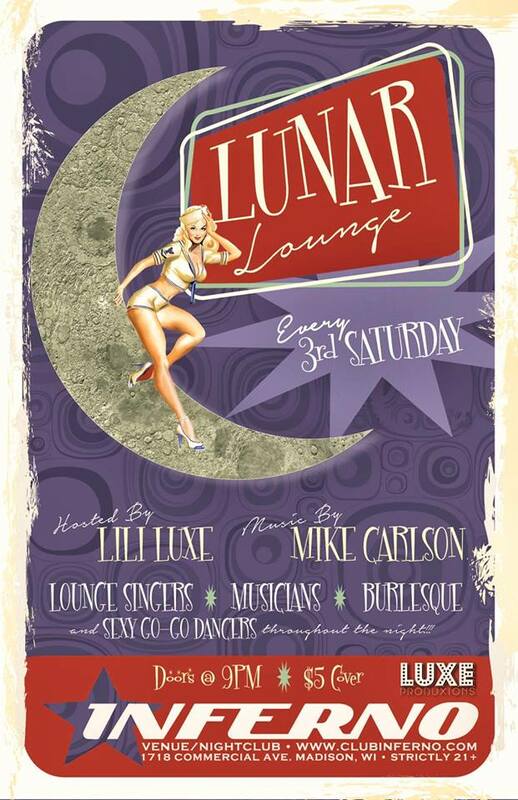 Hosted by Lili Luxe with music by Mike Carlson. — Singing by Annabel Lee, winner of 5 Madison-Area Music Awards including Female Vocalist of the Year and Breakthrough Artist! — Stage debut of Jemma, a beautiful singer who will also be dancing in the cage later in the night! — Greta Thorn and Black Velvet teasing us with titillating burlesque performances. … and much, much more!! Performances are every 20 minutes on the backstage so the dance floor never stops for a “show.” Go-go dancers will be charming you throughout the evening. Dressing up is highly encouraged! It’s the perfect opportunity to put on something special that makes you feel good!